In a recent post (click on An unexpected visitor), Ronlit mentioned the difficulty of getting close enough to raptors to get a good look and to take half-way decent photos. One exception in the more open areas of this district is the Brown Falcon (Falco berigora) which can sometimes be seen on roadsides, perched on a dead tree, fence-post or power pole, which offer the falcon clear views of prey crossing the road and open farmland. 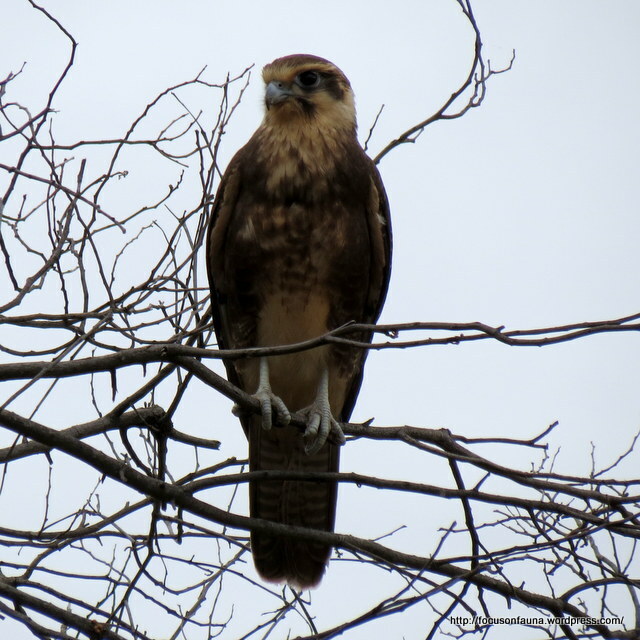 A number of times in past weeks we have screeched to a halt at the sight of a Brown Falcon perched beside one of our local roads. A pity our photographic skills don’t match our enthusiasm ! 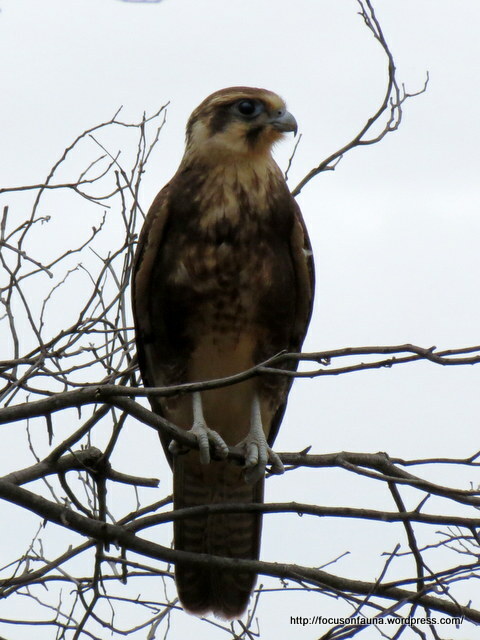 The Brown Falcon is easily recognised by the double dark streaks either side of its paler cheek patch, but its plumage can vary considerably from almost uniform dark brown to various shades of brown above and whitish below. In flight it is often noisy, emitting screeches and high-pitched cackles. 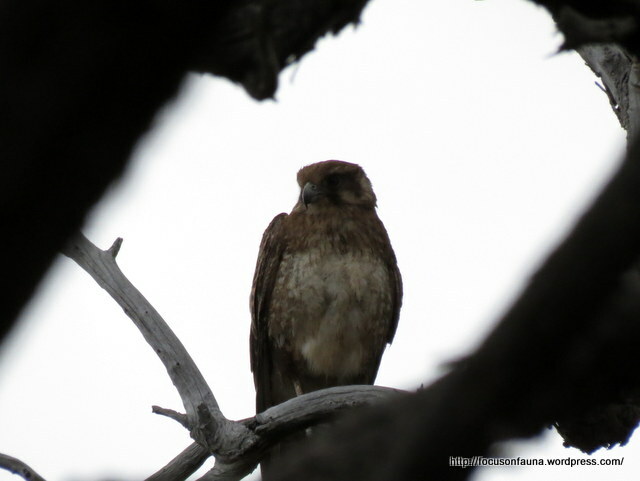 For clear photos of raptors it would be hard to beat Geoff Park’s “Natural Newstead” blog. The grassy plains around Newstead in central Victoria provide ideal habitat for a range of raptors, and we would recommend going to the home page (click HERE) and select Bird observations/Raptors in the ‘Categories’ box – or simply scroll back through past posts to see superb images of local birds of that area.